Miles Tucker was born in Philadelphia, November 1, 1856, the son of Benjamin C. Tucker and Sarah Jane Waters. According to census records, Benjamin Tucker and his children were all born in Pennsylvania, while Benjamin’s wife Sarah had been born in Delaware, and her parents in Maryland. In 1860, Benjamin Tucker (age 31) was listed as a laborer, living with his wife Sarah (age 28) and three children: Charles (age 10), Miles (age 3) and Ellen (age 1). The 1870 census lists the family as living at the back of 1205 Canby Street, between Walnut and Locust Streets. At that time, Charles was no longer in the household; Miles, now age 13, was joined by two younger sisters, Mary and Annie, and a baby brother, Joseph. By the 1880 census, when Miles was 23 years old, his father was gone. Miles, then a waiter, was listed as living at 1206 Canby Street with his mother, a washer woman now described as having been born in Delaware; his sister Mary E., a dressmaker; and Annie, age 18 and still a student. 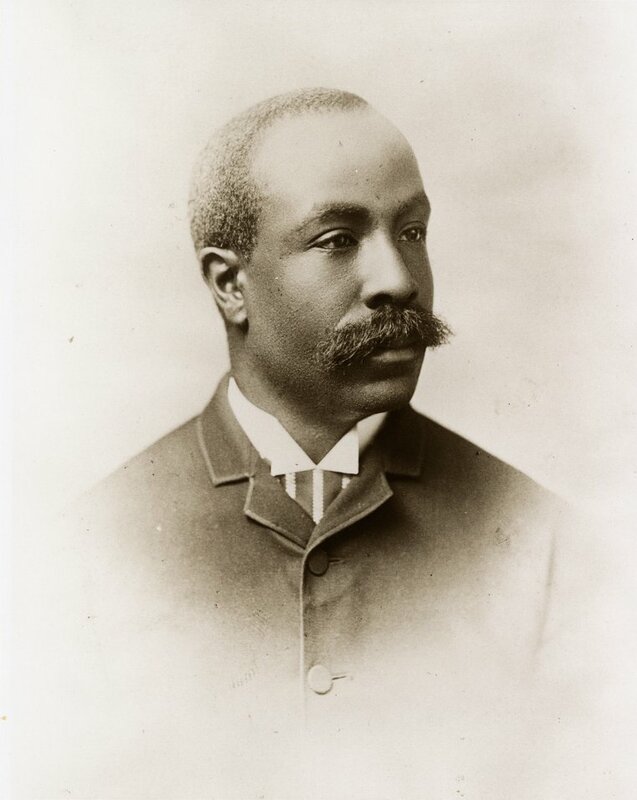 Miles Tucker was an 1876 graduate of the Institute for Colored Youth, a Quaker-run school located on Bainbridge Street, above Ninth Street, which was the forerunner of Cheyney University. Tucker entered Penn in 1885, nine years later, as a member of the Class of 1887. According to the 1887 Record, he was a member of the Senior Book Committee. An honors student in the Wharton School, he received his degree in 1887; his graduation thesis entitled “The Advantages of a Protective Tariff to the Labor and Industries of the United States” won one of fifteen silver medals awarded nationally to college students nationwide for their essays on the topic. According to the class prophecy found in this 1887 yearbook, Miles Tucker was to become the leading politician of Philadelphia’s Eighth Ward. Miles Tucker was a young man of political promise, as indicated in Philadelphia Inquirer articles from the 1880s. He was an active member of the M.S. Quay Club; located at 1122 Lombard Street, this club for African American men in the city had Republican political bent. In 1885, Tucker is recorded of having made a toast to “Civil Service” at a dinner for the Honorable John E.W. Thompson, the new minister to Haiti. A news article from November 3, 1888, notes that Miles Tucker made a few remarks along with State Senator Bois Penrose at a big Republican rally in the city’s twenty-ninth ward. However, it was difficult for young Tucker to make a living. According to the 1894 Biographical Catalog of the Matriculates of the College, Miles Tucker became a teacher; the 1890 Philadelphia City Directory did indeed list a teacher named Miles Tucker at 1213 Locust Street. The 1900 census, however, describes him as a day laborer living with his mother, then age 68, and his sister Annie, then age 37. Both mother and daughter were listed as laundresses. They were still renting the same house, although the street had been renamed, making the address 1206 St. James Street. The only representative of his race in the Class, ’87 had noted with equal approbation his modesty of demeanor and his unusual scholastic achievement, which they hoped would form the basis of a successful career, and they stood ready to lend him a helping hand. With obstacles before him which might well have daunted the boldest hearted, and for which he was in nowise to blame, there was nevertheless an inability in him to lay hold of those immediate footholds which would have rendered his progress, if slow, nevertheless certain. He did not find his groove. But whatever the causes of his disappointment, the fact that this disappointment was to him a most cruel one, awakened the sympathy of every member of the Class. When this disappointment was most hopeless, it certainly showed the quality of the man, that notwithstanding the bidding of one high in authority, and with the prospect of advancement held out to him, he should have resolutely refused to break the election laws of the State. Certainly the heart of every ’87 man who heard the story warmed to Tucker. The Class of ’87, University of Pennsylvania, have learned with sorrow of the death of their classmate, Miles Tucker, and desire to give expression to their admiration of the high mental qualities and marked ability which he exhibited during his whole college career.